Things have been a bit quieter around these parts because of a few big projects that I’ve been finishing up, but I’m looking forward to sharing a bunch of them really soon! 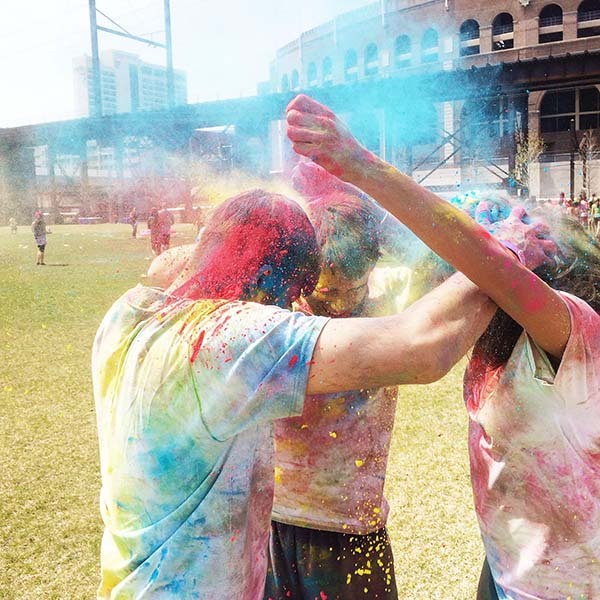 I spent last weekend in Philadelphia and one of the highlights of the trip was celebrating Holi, the festival of colors, at UPenn with some good friends that go to Wharton. 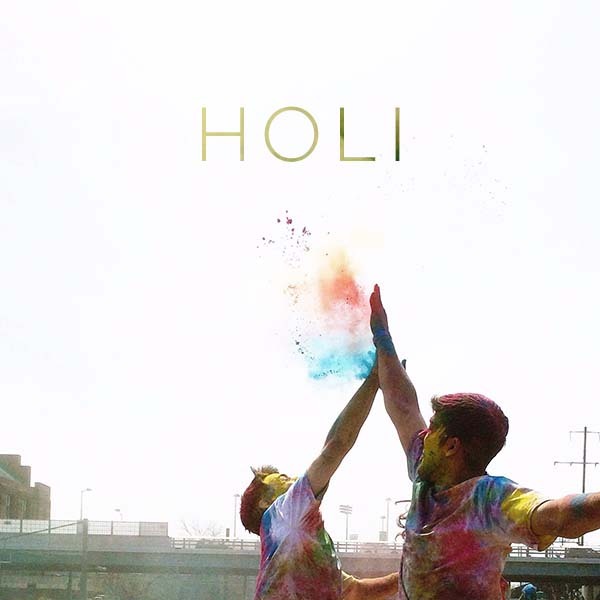 I haven’t celebrated Holi since I was a kid and visiting family in India, and I forgot how much FUN this holiday is. Imagine a field filled with people wearing white, running around, throwing colored powder in every color imaginable on each other. It’s messy, colorful, and we laughed until our stomachs hurt. 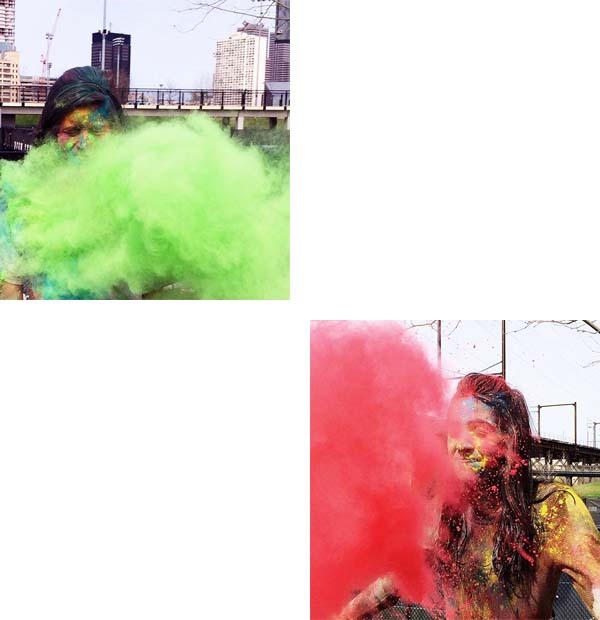 At the end, we had color ALL over ourselves—in our hair, on our faces, and on every inch of exposed skin. The powder is non toxic and the kind we used actually washed out very quickly and amazingly well, so there were no issues with the color staining anything. The people going all out also had water guns and hoses, but I preferred playing with the dry color because it’s not quite warm enough yet to get wet. Some of the Wharton students who had kids brought them and the kids looked like they were having the time of their lives. I saw some kid laughing so hard while he was throwing color on his own head that I thought he was going to explode. It was adorable. Holi makes for some awesome photography, too (we took these photos really quickly with my iPhone wrapped in a plastic bag). I especially love the color dust and puffs of smoke that you get from throwing the powder around. LOVE these photos! So fun. I did the color run with my daughter. What a blast! Similar colored powder throwing I hope she remembers it like you do.